In March 2009 Harry was born – perfect. When Harry had his day 2 check at the hospital they noticed a dimple at the bottom of his back. We were taken aside and told to prepare ourselves as Harry might have Spina Bifida Occulta. This was a big shock and you automatically think the worst. Between that day and when Harry was about 18 months old we attended quite a few hospital appointments. Harry was weak on his right side but we were told this shouldn’t cause any major problems. At 21 months, and much to our surprise, a few days before Christmas Harry got his balance and took his first steps. This was the best Christmas present imaginable. Everybody was thrilled and he was signed off from the hospitals with the explanation he may have some delays but there should be no serious issues. Harry started nursery and went from strength to strength. He was a little monkey and would climb whenever given the opportunity, whether it be over stair gates, fences or falling off the edges of chairs. He was always on the go and getting into mischief and was extremely cheeky. If he was doing something he knew he shouldn’t, you could always tell as you could hear a cheeky giggle coming from him. When Harry got to about three and a half years old, we noticed he was unable to do some of the things his peers could, and as the time was passing the gap was increasing. He was still not a strong walker but we thought that was due to late walking and his fine motor skills were quite poor as well. His speech was not fluent and he could only say 3-5 words. We attended a paediatrician appointment and Harry was diagnosed with global developmental delay and echolalia. We were told that as he was delayed in several areas an underlying condition could be the cause. We were relieved when genetic testing came back clear. Just after Harry’s fourth birthday it was suggested that Harry’s eyes were checked. He was prescribed glasses for long-sightedness which gave us hope that things would improve. Just before the summer holidays I was called in by Harry’s nursery teacher. She expressed her concern that Harry was struggling to recognise his peers – even his best friend standing in front of him. Over the summer holidays Harry’s sight deteriorated significantly. He had to feel people’s hands to recognise them; even his Nan who his seen every day since birth. He also spent a lot of time staring into space. When Harry returned to school in September he was in Year R and my stomach sank at the door as I knew this wasn’t the right environment for him. We all found this very difficult. Joshua was asked to help Harry in school a lot as he was the only one who could look after him at lunch time and calm him when he got distressed. Harry then saw an ophthalmologist who found he had tunnel vision, particularly in the right eye. This came as a relief as it might explain why he had difficulties in various areas and we could put things in place to help him. 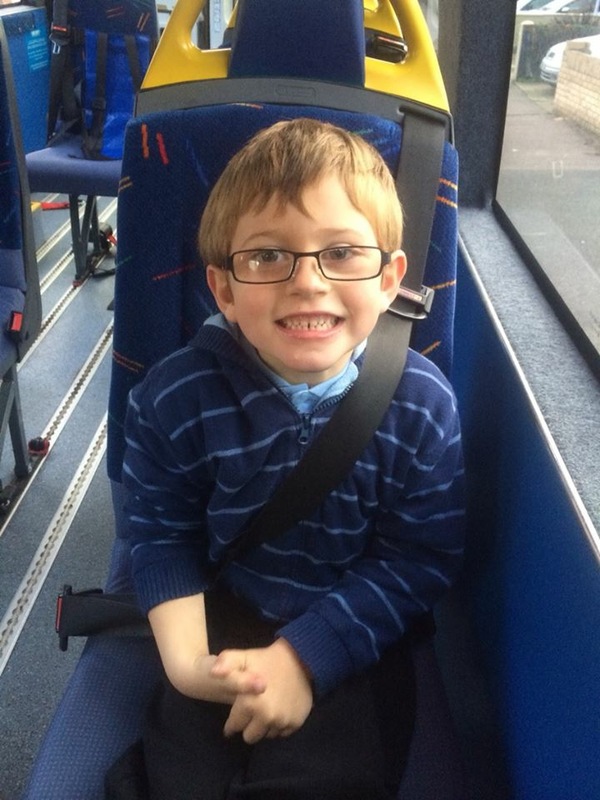 He was referred to an eye specialist at Great Ormond Street to see if they could help further. A few weeks before Harry’s fifth birthday Great Ormond Street issued him with a visual impairment certificate. Extra tests showed he had retinal dystrophy and we thought we had our answer to the problems. We believed this was our key to helping Harry and, with no appointments for a few months, thought we could start his Statement process and get him the support he needed. Little did we know that the following month would bring a letter that would change our lives forever. On opening a letter from Great Ormond Street on Easter weekend 2014, one sentence stood out: “We believe Harry could have a Batten type disease”. The first thing we did was google this, while our beautiful children sat on the floor in front of us and I’ll just say that the results that came up on the screen were not very nice. Heart wrenching. The next couple of months were a roller coaster of emotions as tests were rushed through. Harry had an EEG and to our horror we discovered he was having constant epileptic seizures although his body wasn’t physically showing it. He was immediately put on medication which helped straight away. 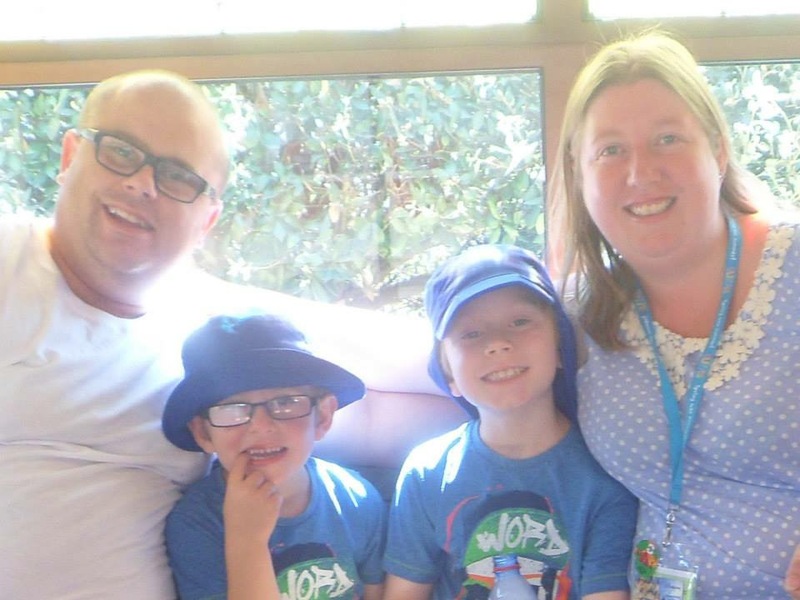 On 30th July 2014 we had a message from Great Ormond Street asking to see us without Harry the next day – we instantly knew this was it and they were going to tell us what was causing these problems. I can remember the day as if it was yesterday. They had found a variant of Batten disease and Harry is one of three children in the UK to have it. The feeling of sitting across from a consultant telling us to go and enjoy our child while we can will never leave me. Life was never going to be the same from that moment on. We now know how precious time is. Making memories and having fun is a lot more important than the trivial worries we used to have. This year we are concentrating on taking Harry and our other son Joshua on a few holidays while his still quite well. We know the journey that we face ahead and we plan to make it as fun and enjoyable as possible. We will make the most of every day as it comes. There will be bad days and there WILL be more GOOD Days. Words cannot come close to how we feel. We love our boys to the moon and back.